A young Dunedin man injured in the mosque attacks on Friday is recovering in hospital, and keeping his spirits up, a member of Dunedin's Muslim community says. 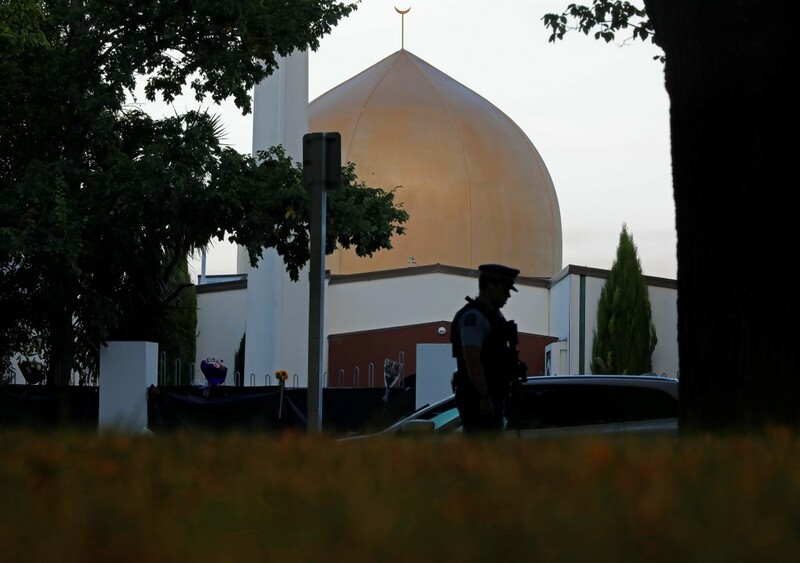 Fifty people died after accused gunman Australian national Brenton Tarrant, who had been living in Dunedin since at least 2017, opened fire at two mosques in Christchurch on Friday afternoon. Dr Mohammed Rizwan, president of the Otago Muslim Association, has travelled to Christchurch along with about 20 others from Dunedin to help families affected. He said Dunedin man Mustafa Boztas was in a stable condition in hospital after being shot in the leg. ''We are holding strong. We don't want to be scared, and that's obviously what the person had intended,'' Dr Rizwan said. Shrapnel from the bullet had travelled up Mr Boztas' leg and into his liver. Dr Rizwan said he had known Mr Boztas since he was a little boy. He was now in his early 20s, and he understood he was studying in Christchurch. He had been in Christchurch for only a matter of weeks. Dr Rizwan said Mr Boztas fell when he was shot in the leg, before bodies of his fellow worshippers began piling up on him. Despite his injury he managed to haul himself up and run outside, where he saw a child lying on the ground with a gaping chest wound. ''When he heard everything was quiet, he got up and ran outside and he saw a kid lying on the ground with his eyes open. However, the child did not respond. "So he closed the kid’s eyes out of respect and kept running." Dr Rizwan said the community was both saddened and shocked the attack happened in New Zealand, which was ''one of the peaceful countries in the world''. The group of Dunedin people was visiting families affected by the shooting, and providing them with support. Dr Rizwan is the spiritual contact for Muslim students at the University of Otago. He did not know of any staff or students who were preparing to leave the country. On the contrary, ''more and more people are pouring in'' to help. ''People are coming from Australia, South Africa - there are volunteers here from the United States. More people were coming every day, and the community was waiting for the day the mosques would open again. The Christchurch community and ''various communities'' had been very supportive, Dr Rizwan said. Islamic rituals would also have to be followed before the bodies could be buried, and he understood Islamic scholars from around the country had also arrived in Christchurch and were working with police and coroners. Islamic custom dictates a body should be buried as quickly as possible after death, but Dr Rizwan said there was no anger at the delays in releasing the dead, as the community understood postmortem examinations had to take place.